I'm so excited to reveal the cover for my new book, The Rose Trail. This story is a time-slip novel with both a modern and historical narrative. 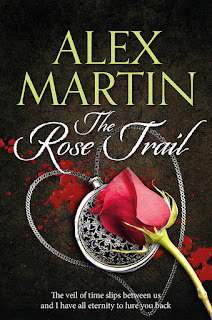 The Rose Trail is coming out very soon and its publication will be announced here. Once rivals, they must now unite if they are to survive the mysterious trail of roses they are forced to follow into a dangerous, war-torn past.